Vintage Brooch repair London. Vintage Compact Repairs. Brooches are fine pieces of jewellery that are susceptible to damage or breakage. 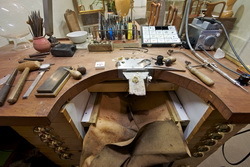 Typical repairs for brooches include broken brooch pins, bent pins and damaged hinges. 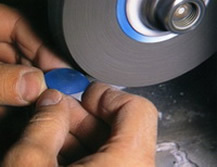 These are fairly easy repairs if you are in good hands such as us, with our in house workshop! Do you have a brooch with a clasp that does not work? Is the brooch pin missing, but the hinge and clasp are intact? Or has the middle part of the brooch clasp fallen out? Do you want your brooch converted into a Pendant? So it can be worn as both a brooch or a pendant. Because of to the wide variety of metals, styles, stones and finishes let us examine your brooch for a free of charge estimate before any work is carried out. 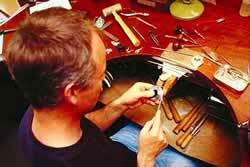 If a brooch is made of a precious metal such as gold, silver or platinum, whether it is gemstone set, diamond set or not, brooch repair work can be carried out. If the broken elements of the brooch cannot be repaired they are removed, replaced and soldered back in to position. 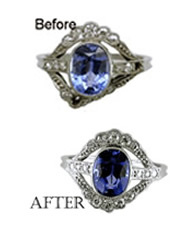 Brooch Pins and safety chains can usually be replaced without interfering with other areas of the brooch. If the brooch is stone set, then depending on the condition of the setting and the types of stones including pearls, laser soldering can be achieved. Some brooch costume jewellery can be laser repaired, new pins can be fitted. Costume jewellery is often soft and brittle and the stones set may be glass and cannot be heated. Brooch Catches - The most common style is a revolving clasp. All catches will need to be soldered and fitted onto a brooch. Brooch Safety Chains – These are soldered onto a brooch by a small jump ring. 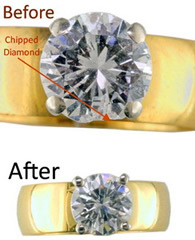 If the ring has worn, the jump ring can be re-soldered. Brooch Pins and Hinges -The pin of a brooch is normally made of a hardened wire, this stops the pin from bending and gives the pin more spring. The pin is usually held onto a brooch by a hinge and riveted into position. Sometimes the hinge can become worn and needs replacing. We can sometimes mend bent pins or broken pins. When a vintage brooch, antique brooch or antique pin needs repair it is often the pin that is the problem. It may have become detached and is missing or has been bent and broken. It is easy to replace the pins. Suitable for most pin fastenings except riveted ones that need a cross pin. Look at the empty fastening part that holds the pin. If it has dimples that protrude on either side, then we use this type of pin. However, if there are two tiny holes on either side then this is for a cross pin. Silver, 9ct gold, 18ct gold, Platinum brooch findings. Our Master Watchmaker is dedicated to the repair and restoration of vintage and antique pocket watches. Our Watchmaker is an expert in the restoration of mechanical wristwatches, especially vintage watch repair and the repair of pocket hunter watches. 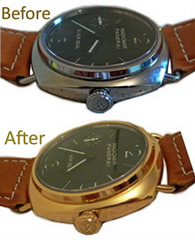 We carry our repair and refurbishment of precious metal watch cases and bracelets. Vintage watch case repairs and hand made leather watch straps. We can hand make custom leather Watch Straps for all vintage watches and modern watches that we repair. Each leather watchstrap that we make is bespoke, handmade and inpidually hand stitched. A handmade watch strap that is robust and comfortable to wear. The natural beauty of the leather is enhanced by the subtle central padding. This brings out the character and grain of the leather. The straps are hand stitched with premium linen thread. Custom watch straps for watches from many of the world's watch makers. We can tailor make or design a watch strap to accommodate many different type of lug, deployant clasp and buckle design. Measure your finger with our free ring sizer. The ring sizer is very easy to use and comes with full instructions for ring sizing, so that you can give us your ring size with confidence. So find your ring size. 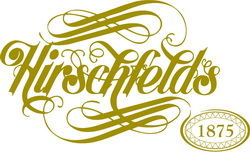 Hirschfelds Ltd London Hatton Garden. We are members of the National Association of Jewellers.